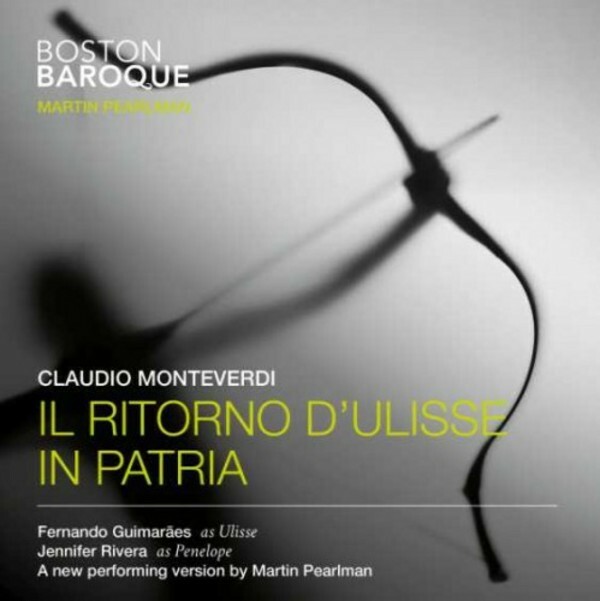 Il ritorno d’Ulisse is unquestionably one of the three pillars that place Monteverdi among the greatest of opera composers. This recording marks the premiere of a new performing version by Martin Pearlman. With a libretto drawing from Homer’s Odyssey, Il ritorno d’Ulisse is a riveting human drama with an enviable cast tha includes Abigail Nims (Melanto), Daniel Auchincloss (Eumaeus), Sonja DuToit Tengblad (Juno), Ulysses Thomas (Antinous) and Marc Molomot (Irus). Founded in 1973 by Martin Pearlman, Boston Baroque is already familiar to an international audience with its critically acclaimed catalogue of recordings. The three-time Grammy-nominated ensemble is widely regarded as ’one of the world’s premier period instrument bands’ (Fanfare).